Jason started his career with the State Bank of Cross Plains in June, 2017. He graduated college in May of 2017, earning a degree in Business Administration with a major in Finance from the University of Wisconsin – La Crosse. Jason also participated in several investment related internships while attending college. As a client services coordinator, Jason is available to answer questions you may have but also contributes to the smooth operation of the team in a number of behind-the-scenes capacities. 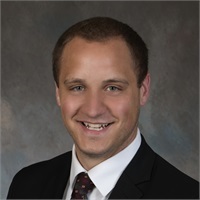 Jason is a great asset to our team and he looks forward to working with clients and growing as a young professional with SB Financial Services located at the State Bank of Cross Plains. Jason was born and raised in Waterloo, Wisconsin and is a graduate of Lakeside Lutheran High School in Lake Mills. Some of his hobbies include basketball, baseball, golf, wood working, coaching and spending time with family and friends.